Daily Etemaad is an Urdu newspaper and providing Online news in English and Urdu based in Hyderabad, Telangana. It was established in the year 2002, owned by a local political party All India Majlis-e-Ittehadul Muslimeen. Its editor is Burhanuddin Owaisi, son of Sultan Salahuddin Owaisi who was the president of All India Majlis-e-Ittehadul Muslimeen. Daily Etemaad is located in the Darrussalam area of Hyderabad. It is the largest selling Urdu newspaper in Hyderabad & Local Cities. Daily Etemad City Edition has 12 pages and you can purchase by spending 3 Rs. The Official website of Daily Etemaad is www.etemaaddaily.com. 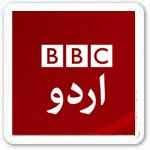 You can read news daily in Urdu and English language. You can read daily epaper by this site. 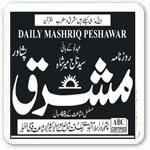 Now You are visiting Daily Etemaad Newspaper Online Page for reading Daily Etemaad ePaper at Epaper.PkNewspapers.com.